Branding is often regarded as nothing more than having a good logo and a catchy tagline, however, nothing could be further from the truth, especially when it comes to SEO. Effective branding can have a positive impact on your SEO and ranking, just as poor branding can have a negative impact. With Google increasingly seeking to base their search engine results on user experience, it is no longer just enough to focus on the technical elements of SEO. By these, we mean things like anchor text, meta tags and keyword density, which are measured by crawlers and algorithms, and not real people. You also need to think about the way in which your website appeals to those who visit. For example, do they stay on the website for some time, do they click through to other pages, or are they just there fleetingly and clicking away almost immediately? These are important to consider because it is data like this that allows Google to measure how good or bad your website is with regards to user experience. While there are specific actions you can take to improve this such as increasing page load speed, and adding more interesting content, you can also impact them by improving the branding of your website. 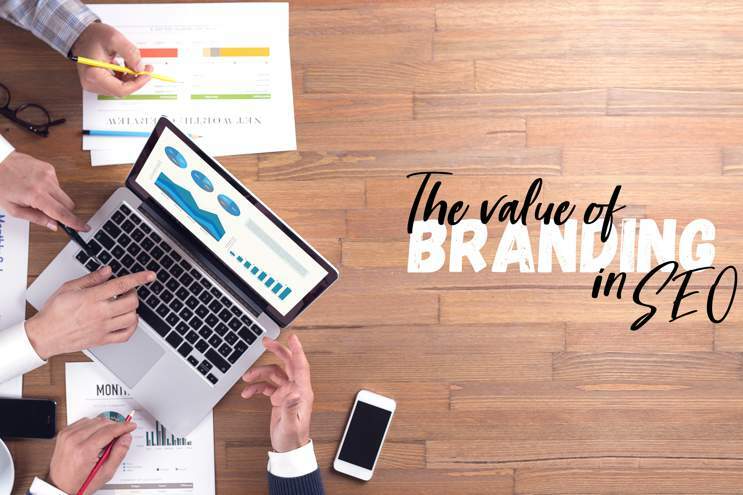 Google has always regarded big brands as more desirable than nonentities, and while it may not be possible for you to compete with a global mega-brand, you can still impact on your ranking by making your brand the best it can be. Google sees branding as a trust factor and this is influencing their search results in ever increasing ways. Good branding is also seen by Google as being something which is a white-hat activity rather than blackhat. They know that spammers, and those who are out to earn a quick buck, are not going to spend the time, effort or money building up their brand. Those websites that do, are seen as more reliable and likely to have more authority too. A website which has a brand is likely to have traffic coming to it from multiple sources including social media, and there will be a lot of diversity in the backlinks which are going to it as well. This is also recognised by Google as being a positive indicator that the website is trustworthy and thus it moves its ranking up. Improving your website’s branding does not need to involve shelling out thousands of dollars to a creative agency or similar. There are some very basic actions you can take to give your branding the boost it needs. First, keep the design of your website pages, simple, and consistent. Visitors feel comfortable if each page they click through has a similar look and feel. Don’t be tempted to have a website that has lots of ‘bells and whistles’ as this does not impress anyone, including users. Remember, if you make your website designs complicated, with too many plugins and unnecessary media, it is going to load slowly, which isn’t good for your ranking. It is always good to be present on your website, so that users can see there is a real person behind it. As a minimum, you should have an ‘About Us’ page that gives lots of details about the company’s history, progress, and values. Having images of people who work for the company, or you as the owner also helps with your branding. Taking this a stage further, you should consider adding images or videos of customers who have already done business with you. What better way to build trust for your brand than real customers praising you in a short video? Social media is a very useful way to boost your branding but only if it is done sensibly. Many website owners take a scatter-gun approach and try to have accounts on every platform. This only works if you have the resources to employ people who can spend time posting all day. Otherwise, determine which platform your customers are most likely to be on and focus on just those two or three, to build up your following, and your brand recognition.